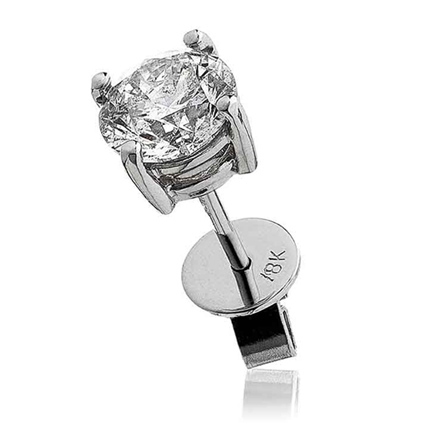 Stunning single diamond stud, for those gents who wear a single stud or for anyone who needs to complete a set, this 0.25ct diamond stud features a round brilliant cut diamond in a solid 18k white gold four claw setting, this simple setting gives the best view of this quality G colour, SI clarity Diamond. Delivered free with a luxury wooden gift box, authenticity certificate and a full 12 month guarantee. 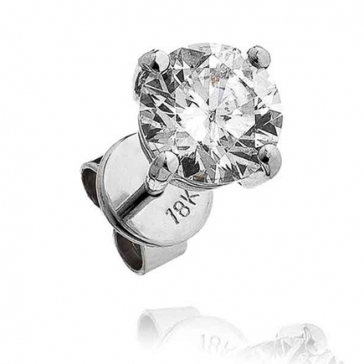 If you are looking for a particular carat weight or diamond grade please call for a quote. PLEASE NOTE: Single studs are specially made to order, lead time is approximately 2-3 weeks.